Home › Humor › The New, Old Hippy, Elderly Democrats’ Revenge. The New, Old Hippy, Elderly Democrats’ Revenge. So annoying is that Life Alert ad where the lady screams; “I’ve fallen and I can’t get up!” Personally, just showing the woman rotting on the floor, and her femur bone being gnawed by her pet dog Fluffy, who has not been fed in days, and the sounds of ravenous growls is far more compelling. With the largest generation, the Hippy Baby-Boomers now retiring, and if how they behaved in the past politically and socially is any indication, America may just want them to stay down and… never get up. Be very afraid of the new elderly in America….Old Democrats on steroids and laxatives. They portray themselves as sheepish victims without power. The old man in shorts wearing black socks or his wife behind the wheel of a Buick returning home from a doctor’s appointment is more dangerous than texting gangs of teenagers in their cars on a Friday night yet pay cheaper insurance costs. At any moment they are capable of going off at anyone. They do not fear the law, for prison to some is just like The Villages retirement community without the golf carts. They use the “exit” doors to enter Walmart or grocery stores and act like signs mean nothing to them. The oblivious, completely lawless, self-serving generation who doesn’t return their shopping carts once they load their cars. Retired government workers, teachers, union employees who have step-in bathtubs from Pat Boon and attitudes from Jane Fonda and Oprah. Every one of them has a handicapped parking permit. Each of them has something wrong with their body and who the hell doesn’t after the age of sixty? Grandpa Tim has a planter’s wart on his foot, and his Harley gets front row parking. Old Gramps gets to board the plane first with the ticket he paid twenty-five percent less than everyone else. They go to Outback or Longhorn Steak house at four o’clock and laugh at how they beat the dinner rush, as if they are too busy when they have all the time in the world. The Sweet Tea they ordered, they send back because it is too sweet. Those establishments now even have the tips calculated on the check….15% =, 18% =, and 20% =…..just because these wrinkled hoodlums continue to pay 10 %. It wouldn’t be so bad if they spent their money faster back into the system, passed it around but they rarely spend at all. Even the clothes they wear are from their friends who have recently passed away. You can hear them say; “I’m wearing Jack’s pants,” or “Do you like Rose’s blouse, bless her soul.” Damn old Hippies. The youthful workers make minimum wages serving them and now will have the Health Insurance mandate, along with the largest deficit in the history of our country to carry on their backs. This is the new, elderly Democrat, hippies’ revenge. The great lie is that what you thought was new is really an old, tired collapsing political system marketed with front men like Barrack Obama. Sorry to say to the youth of America, that across this land everywhere, in cities like Detroit, LA, San Francisco, Chicago that their trust fund has all been spent. You have to carry these elderly Democrats through taxes and fees at low wages and answer their Life-Alert button. So the next time you hear; “I’ve fallen and I can’t get up!” ……root for Fluffy. This is both hilarious and disturbing at the same time! What you describe in this article is exactly why “Atlas Shrugged” is my new obsession. I’ve read it before, of course, but now I really get what she meant about the great minds going on strike and disappearing. Thank you for taking an interest in my posts! I am pleased to find your mind alert, awake, and functioning in a well lit room. 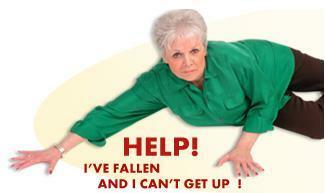 Did you really have to use the “I’ve fallen and can’t get up thing” again LOL? Very well written as always with witty and somewhat deep and full of interesting things that I will not debate cause I’m not qualified…a bunch of us are turning 60 next year….so guess there will be more of us….hmmm…..doesn’t mean we all fall into the categories you describe….and some do. Thought provoking as always.